I realize no one north of here will have any sympathy whatsoever, but the temperature turned plain hot for this afternoon’s practice. I felt for the drivers as they sat strapped in their cars in their fire-suits, with no relief from the heat. 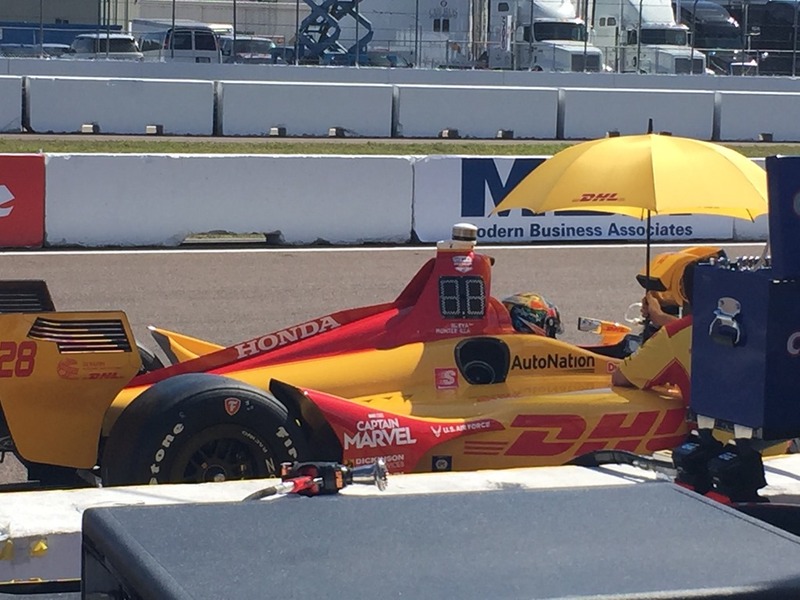 Here is Ryan Hunter-Reay awaiting practice, under the shade of an umbrella with a fan blowing into the cockpit – just for a little relief. The afternoon practice probably gave us more questions than answers on who may have a good weekend and who won’t. Ryan Hunter-Reay led the second session with a fast lap of 1:00.8969. He was the only name from this morning’s Top-Five to be in this afternoon’s. He was followed closely by Spencer Pigot in a Chevy. Marco Andretti, Colton Herta and Max Chilton rounded out the Top Five. 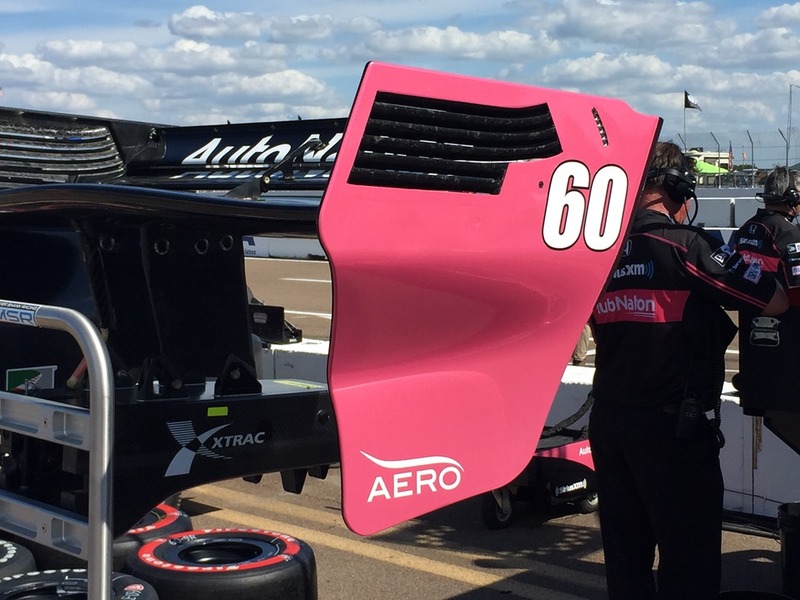 The Bottom-Five had some more familiar names including Jack Harvey, Santino Ferrucci, Tony Kanaan, Zach Veach and Ben Hanley. Speaking of Jack Harvey, he went from having one of the better looking liveries to one of the worst. His Sirius XM/AutoNation car last year was a dark pink and black, with the pink having the chrome finish. It really looked good in person. Today I saw the car on pit road and like the other SPM cars, it has abandoned the chrome finish. The end result is a car that looks like it is coated in Pepto-Bismol. I couldn’t get a good picture of the car, but here is his spare rear-wing. I have been very impressed with the concessions here. There is an entire midway section behind the main grandstands that was bustling after practice. They were stocked with food and I’ll bet they sell it all before the day is out. 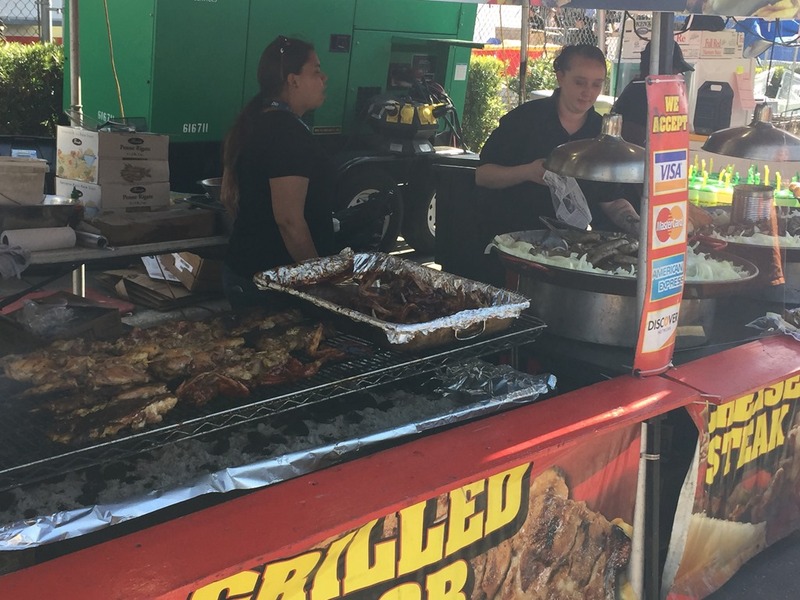 The concessions here might even rival Road America – and that’s saying something in my book. That’s going to do it for today. We plan to be here earlier tomorrow for the 10:15 am Practice Three. Susan will have a post up here sometime tomorrow as well. Thanks for following along today. Please check back often tomorrow. This entry was posted on March 8, 2019 at 3:06 pm and is filed under IndyCar. You can follow any responses to this entry through the RSS 2.0 feed. You can leave a response, or trackback from your own site. 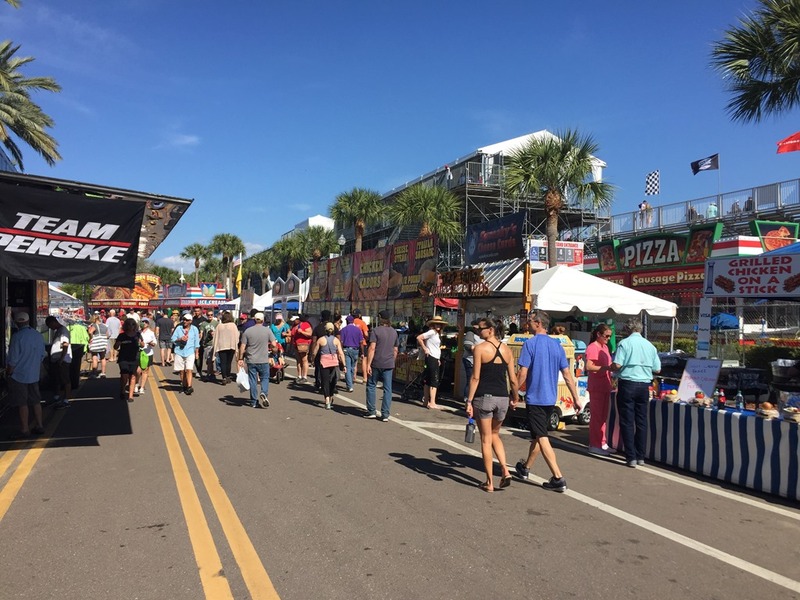 george, you remarked before you left that–having never attended a street race–you were wondering about how much you could actually see at a street course with all the fencing and tires and concrete barriers. so what’s the verdict? Incomplete. Today we were mostly in the pits and could see nothing. This afternoon, we went to the inside of Turn One and had a decent view. Susan went down to the hairpin that goes onto the runway and says she got some good photos. I wasn’t with her, so I can’t say. We plan on checking out more corners Saturday.